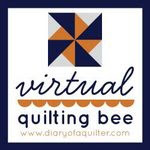 This post is the second of two about free motion quilting for the Virtual Quilting Bee over at Diary of a Quilter. My Pinterest board for quilting ideas. Leah Day's FMQ Craftsy course. Once I decide on a design, I practice, even if it's just for a minute to get the feel for the design again. I have several practice scraps. I simply use a two pieces of fabric to make a sandwich for practice. I prefer these pieces to be at least 1 yard x WOF (42"). This gives me a better feel for how it will be to actually quilt the design. I never make small quilt sandwiches for practice. For me they are harder to work with. Here is my current doodle sandwich. Once I've filled all the empty space, I simply start quilting over the designs again. Although, when I'm practicing a brand new design, I like clean slate. I generally use a contrasting thread when I practice, allowing me to better see the design. I always use quilting gloves, even when I practice. They help give much better control of the quilt. Decide on a pattern--I find stipling or a loopy meandering pattern to be the easiest. Start sketching--Draw out how it should look before testing on fabric. Clean and oil (if recommend) the machine, replace the needle, and rethread upper thread and bobbin. Attach the darning/fmq foot. 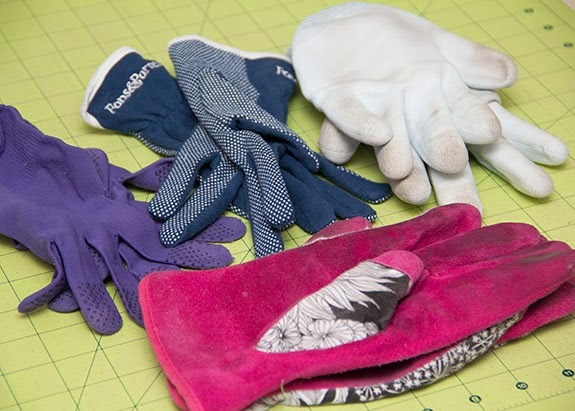 Grab some gloves--I have four different pairs (shown above). I've gone back and forth on my favorite. Right now my go-to pair is the whitish pair in the photo above. They are some type of fruit-picking gloves from Asia. I'm not even sure of the language that was on the package, but they are great. They fit snugly and give just the right amount of grip. If anyone knows of a location to buy these, I'd love to link up. Clear the work area--I often move my machine to the kitchen table to have plenty of space for quilting. Test tension and stitches on a practice piece. Jump in with a scrap sandwich! You aren't going to learn unless you try. Switch out the needle--even a new needle can be bad. Sometimes it's also good to try a different size--larger or smaller. I've also found a top stitching needle to work well, but not on all quilts. Change the thread--I've tried many types of thread. I prefer polyester over cotton. I find my thread breaks far more frequently when I quilt with cotton. Increase the tension--I only adjust my tension if I'm getting eye-lashing on the back of the quilt (stitches with incorrect/pulling tension). Every machine is different. I know some quilters must significantly increase their tension. Clean the machine again--I find for some quilts I need to clean my machine again about halfway through the quilt. Stop--When I'm frustrated, I make the most mistakes. I usually need to step away from my project for a while when things just aren't working. Take the machine in for service--I'm at this point right now. I've been having more and more issues lately when I fmq. I think it's time for my machine to head to the shop for a tune up. It's just hard to part with it for two weeks. 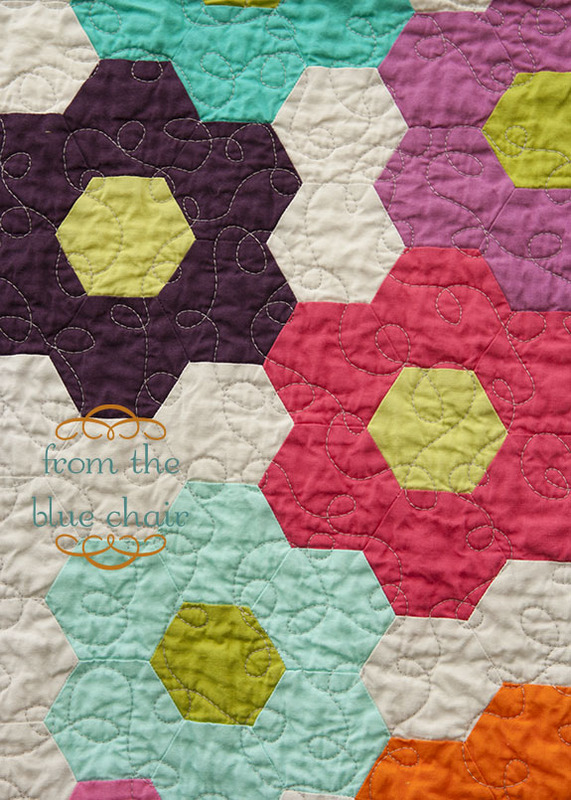 I've heard from many people that they are too scared to try fmq. Just try it! There is little risk in ruining a couple yards of cheap fabric and batting scraps. Your first try will not be stellar. Don't expect it to be. Keep trying. ok, you are giving me the courage to try quilting my own quilts. Actually, I have several tops done, just have done anything with them. The only quilts I've finished are some baby quilts which I tied. So will give it a try! I guess I need to practice a lot more like you said you do. Thanks for this. I'm one of those people who's too scared. "Learn to FMQ" has been my goal for the past two years and I've yet to even begin. 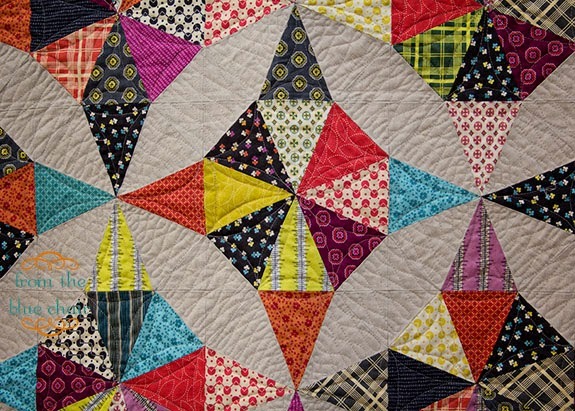 Your work looks pretty perfect and so creative and complementary to each quilt. 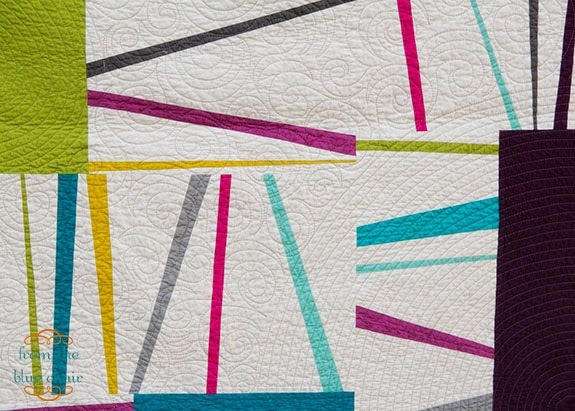 Kati, your quilting is gorgeous! 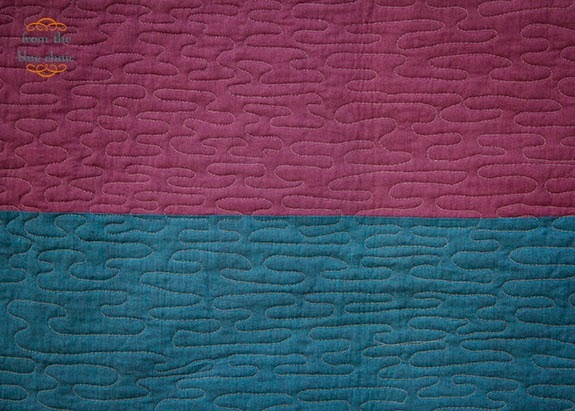 I know you use minky on your quilts sometimes--do you have any tips for that? 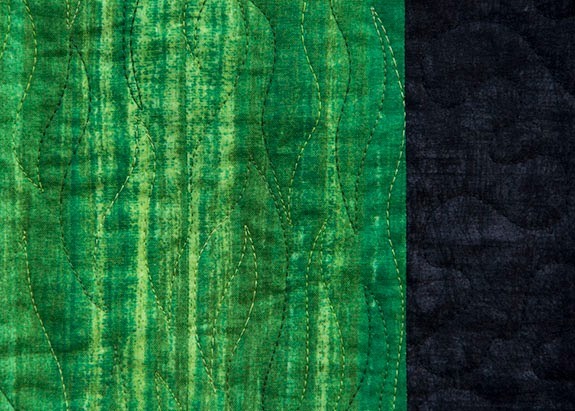 I have a few minky-backed quilts on my plate, and they never go so well for me. 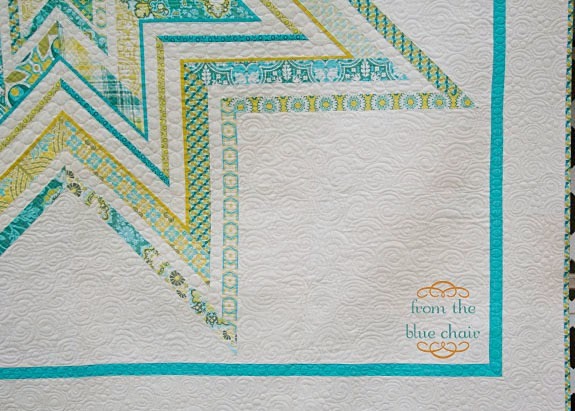 Thanks for the shout out in this and your last post--your quilting is just beautiful. Nice clear Tutes, Kati. 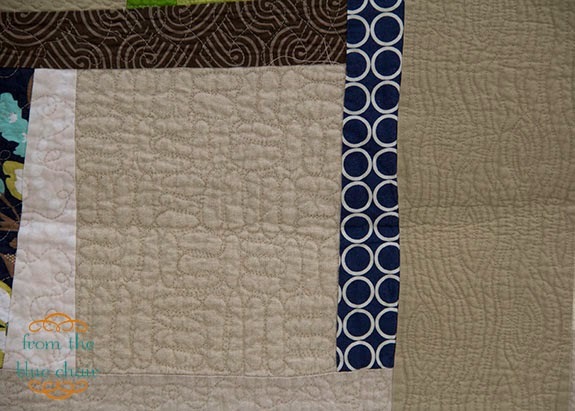 Great for beginners... to see what is achievable . . your quilting is so perfect. Thanks so much for this Kati. I am still at the "practising on scraps" stage but really enjoying it. Do you have any hints or tips about the kind of designs that require stopping & starting? I mean like pebbles or when you want to "shadow" the seam lines just inside a pieced shape. It seems like a lot of tying off of thread ends to create a look. This was really helpful, thank you so much! I've been avoiding FMQ for a long time, but I am going to give it a try on my next quilt, and so the timing of this was perfect! Wow, Katie - fabulous post! 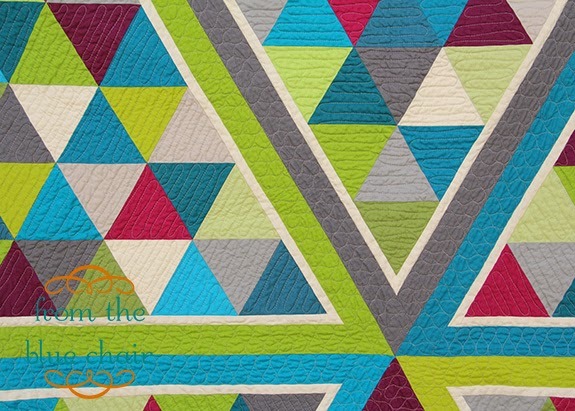 Thanks for encouraging those of us who have domestic machines to do our own machine quilting! I hope this isn't a stupid question, but I'm a wanna-be quilter so I hope you'll cut me some slack. 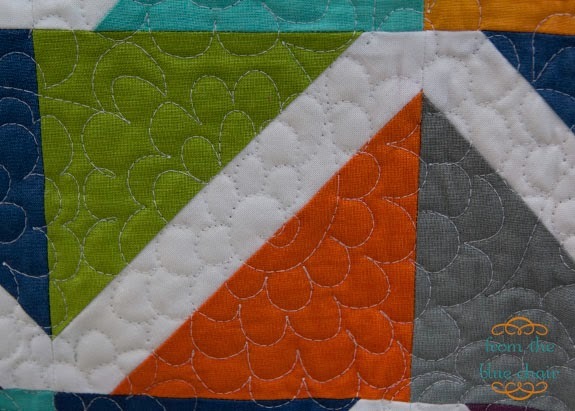 Can you quilt your blocks as you go and then just sew them all together? 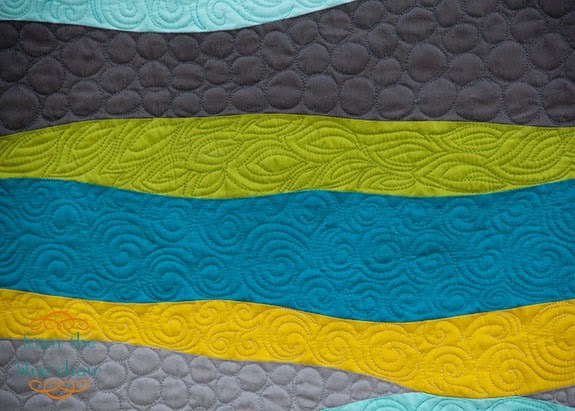 First time to visit your blog, for sure I will come bac often, great post, love your free motion quilting, thanks for sharing and encouraging us to do it, I will give it a try! Thanks for the tips. 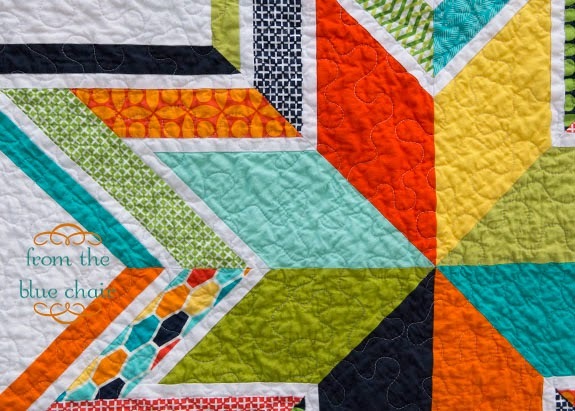 Your free motion quilting is fabulous. I hope someday mine look as good as yours do. Thank you so much for putting together all of this information and the beautiful pictures of your FMQ! I appreciate your references at the beginning too. I'll have to check them out! What beautiful work you do - great tips and thoughts. Thank you! Such a nice post, Kati! 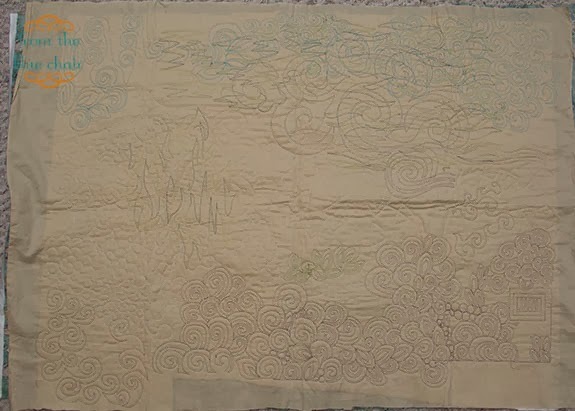 It's really interesting to see how you baste and quilt. Different techniques and preferences (Ex: I hate wearing gloves, so I use Neutrogena hand cream that gives me a good "grip," softens my hands, and doesn't damage fabric) than I have, which is why it's so interesting. Thanks for sharing. what kind of machine do you quilt on?